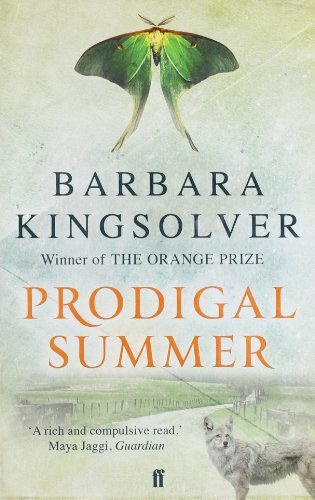 Prodigal Summer tells the story of a small town in Appalachia during a single, humid summer, when three interweaving stories of love, loss and family unfold against the backdrop of the lush wildness of Kentucky mountains. The narrative follows Deanna, a solitary woman working as a park ranger, Lusa, a widowed farmwife at odds with her late husband's tight-knit family, and Garnett, an old man who dreams of restoring the lineage of the extinct American Chestnut tree. A beautiful book - quite a slow read, but such a great atmosphere, such interesting characters. Loved it! Congratulations to the winner of Books, Chocolate & Tea Sweepstake! Thank you so much for the book (which sounds interesting), the chocolate (which tastes yummy!) and the tea (which will be nice to try later today. 5°C, clouded and humid = perfect weather for a hot drink!). I felt that the book was fairly well written, and the characters were interesting in a way (although they annoyed me a bit sometimes). But the book didn't "catch me", so I felt that I forced myself to continue reading. So halfway through the book I decided to give it up.